Nothing is more exciting; on the other hand, perhaps, nothing is scarier. Your intelligent, talkative seven-year-old child just bounded downstairs and said, “I want to be a Christian.” Your heart leapt for joy! You energetically reviewed the gospel, talking about sin, the cross, and eternal life. You listened to your child happily agree with your weighty, twitter sized message. You had knelt down together and then, heard your child softly pray for Jesus to come into his or her heart. But as your precious little soul trots happily back off bed, doubts begin to pummel your brain like the onslaught of unending punches that seem to find Sylvester Stallone at the end of every Rocky movie ever made. If you are anything like me, you grew up making false professions of faith or knowing children who did. Being in church my whole life, I knew I should be a Christian. The combination of perceived adult expectations, the religious emotionalism of Charles Finney, and my childhood fear of fire gave my heart a passionate desire to escape judgment through various versions of the sinner’s prayer. Quite naturally, I made several of these professions of faith public, earning a trophy and confirmation class certificate in the process. By all human standards, I deserved the title “Christian” years before I actually repented. My childhood love for God consisted of nothing more than counting hymn verses (fewer verses or shorter stanza meant church would get out 30-60 sec earlier), thinking about miniature toy soldiers, and longing for baseball. And you wondering, “Is our child is going to be like Peter?” Did we make a disciple or child of perdition twice over, by giving this little smiling face a false sense of security? 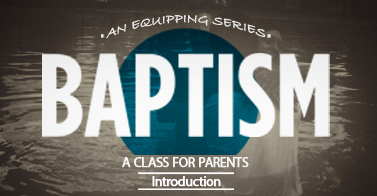 How do we encourage our child’s expression of faith without creating a miniature Pharisee? What do we do? In my experience as a child, seminary student, and pastor, the typical answer to these and similar questions is: plop the child in the minivan, drive to church, place the child in your pastor’s office, shut the door, and wait for white or grey smoke to appear. Like the parents I’ve meet with, I can only judge a child by his or her spiritual fruit. 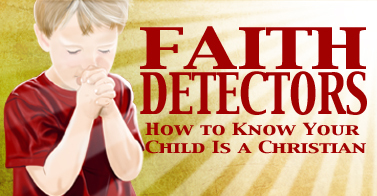 And assessing the fruit of a child’s faith is a tricky task. Think back to the parable of the soils (Mathew 13). Now, we can typically pick out the child living in the harden soil. He talks about how Jesus, Peter Pan and Spiderman fly around together in Gotham City or she rebelliously smarts about how much she hates church. But discerning if your child’s heart resides in the rocky, weedy or good soil of religiousity is not so easy. Because our little men and women have yet to win unfiltered access to transportation, communication, or disposable income, they lack the tools generally needed to express the love for the world. Consequently, children may reside for years untapped by the pressures of persecution and worldliness. All the while, all three types of children can get excited about baptism, about giving to missions, or about winning Bible Drill awards. But only the true heart rooted in God’s saving grace will withstand the pressures of persecution and lawlessness that appear in high school, college, and the business world. “Faith that fade, no matter how luscious its first fruits is not saving faith” (Geear, p.79). Only little souls nourished by Christ produce a life of repentance characterized by love, hatred of sin, and boasting in God. This fruit is what we must seek and affirm in our child’s life. Honestly, the person best positioned to discover the fruit of your child’s repentance is not me. It’s you, the child’s parents (provided you are believers). You see your child’s heart every day and night. You are best positioned to expose your child to truth through words and actions. And, you have the best viewpoint from which to observe whether or not your child is daily responding to truth. The Hearts Of The Young, Restless, And Unredeemed: Understanding Our Children’s Nature and How God Works.